If diversity is about how people look, this Congress is very diverse. It’s a fact that there has never been so great a number of representatives who are women and people of color. There are 124 women, 55 blacks, 43 Latinos, and 15 Asians. But if diversity means diversity of thought, it’s practically nonexistent. All the politics of today’s Democratic Party, which is as far left as it has ever been, is about how people look and where they come from. Once we called this prejudice or stereotyping. Now we call it progressivism. It takes a certain blindness to miss the irony in these politicians of the left, who call for honoring and empowering individuals, and choose to do this by making them less free. They claim to enhance individual dignity by expanding government to dictate our health care, how we save and retire, our relationship with our employer, how and what we can say to others and what they can say to us, and just about every detail of our private lives and decisions. Minority Americans have bought the lie that personal freedom is not in their interest—that government should run their lives. This is meaningful to us all because they represent the growth demographics of the nation. According to recent analysis from the Brookings Institution, white America will be in the minority by 2045. However, by 2027, just eight years from now, the majority of Americans 29 and under will be non-white. The socialists, the secular humanists, know time is on their side. It’s a waiting game for them. The new Democrat House has only one thing in mind—biding its time to inflict maximum damage on President Donald Trump in order to lay the groundwork for whomever it nominates for president in 2020. So expect a very noisy two years. Countries that are not free don’t grow, because all the activity is about transferring wealth—not creating it. The progressive politics of blame, dependence, and envy make the well-connected rich and keep impoverished people poor. It’s why over the last 50 years, many black politicians have gotten wealthy while the gap in average household income between whites and blacks is 50 percent greater today than it was in 1970. Republicans and all Americans who care about bequeathing a free nation to their children and grandchildren need to think long and hard about how to communicate the importance of freedom to Americans of color. It’s our only hope of not losing our country to the left forever. 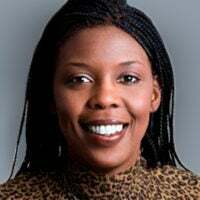 Star Parker is a columnist for The Daily Signal and president of the Center for Urban Renewal and Education. Twitter: @UrbanCURE. EDITORS NOTE: This column with images is republished with permission. Photo: Kevin Lamarque/Reuters/Newscom.